From visas and hotel considerations to health and safety issues, this handy travel checklist for trips to China and Hong Kong will make planning your long journey to Hong Kong or China a little easier. Make sure that your passport has at least one blank visa page and is valid for six months or more. Renewing or obtaining a new passport can take up to four weeks, so be sure to allow enough time for processing. It is possible to shorten the process to two weeks, but you will have to apply in person, keep your fingers crossed, and pay an extra processing fee. If you hold either a U.S. or EU passport, you will not need a visa to enter Hong Kong for stays under 30 days. You will, however, a visa if you are traveling to mainland China. If you will be entering China more than once on your trip, apply for a multiple-entry visa. Hotels in China tend be clean and comfortable, but they have their challenges. More often than not, communication is difficult no matter how helpful and courteous the staff. Learning a few key words and phrases will go a long way - particularly if your travels take you from the major cities - to ensure that you can acquire the essentials. Choose hotels with workout facilities (the best cure for jet lag) and high-speed Internet. Avoid checking luggage if at all possible. A quick exit from the airport will mean that you will be able to get your tired self to a hotel (and to bed) much sooner. Pack lightly. Laundry services in most hotels are outstanding and relatively inexpensive so you will only need to pack a couple of pants (or skirts), a few shirts, a sweater, and a jacket or raincoat. The weather differs greatly by region and time of year in China, so bring clothing that can be easily layered. Protecting your travel gadgets is extremely important so be sure to have the correct converters and adapters for both China and Hong Kong, as they are different. Tip: Adding a handy multi-device charger, will make powering-up more convenient. One major plus of a 21-hour flight is the number of airline miles accumulated. These long trips also go a long way towards gaining status on your airline of choice, making upgrades, and ensuring that other bonuses are far more likely. If you aren't part of a rewards program, sign up when you book your flight. 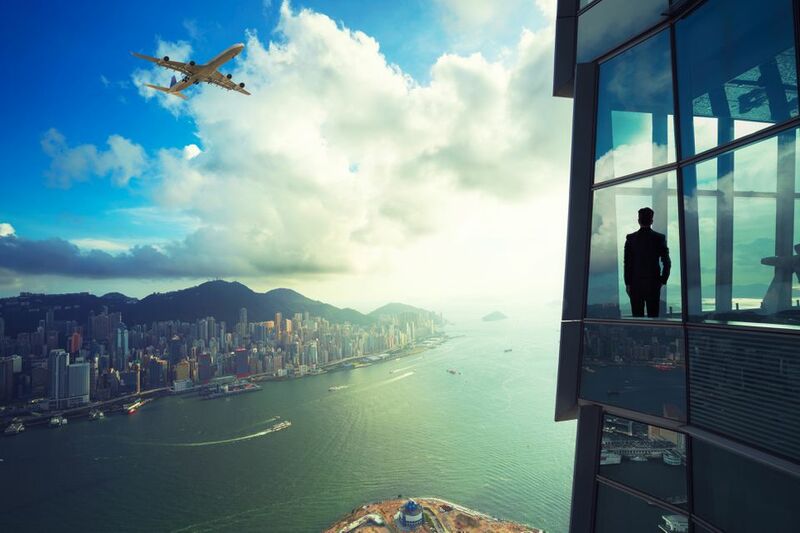 Business travelers will find Hong Kong and the major mainland China cities fairly easy to navigate, even if you are not fluent in the local language. As you leave the major cities, however, you'll find fewer and fewer signs in English or other languages. Shanghai, Hong Kong, and Beijing all have adequate public transportation options, but a cab is still the way to go if your company is picking up the tab. What Is the Average Humidity in Hong Kong?